You’re running a bakery, probably getting up at the crack of dawn, dealing with the ingredients and inventory, and running a business. Do you really need to take the time to start blogging, too? Blogging is one of the most fruitful ways to attract potential customers to your website. And once you get those customers to your website, they’ll have the opportunity to learn more about your business and what you’re baking. There are misconceptions that blogs are just a way to write what you want and put it out into the world. Those ideas are outdated though, as blogging has become a prime marketing tool. Once you develop a blog targeted at your ideal customers, you will naturally start growing a following. But how do you get started? You’re a baker, not a writer, right? First of all, you need a website. If you’ve been skating by with just Facebook or Instagram for a while, it’s time to step up and operate like a real business. If you want to be taken seriously, you need an actual website that is branded like your business, and allows your customers to read all of the details of what you have to offer. I recommend using Squarespace as opposed to Wordpress, which is the common suggestion by “start your own blog” course providers. Sure, you can start a Wordpress blog for free, but you’ll also end up with a lot of headaches. If you decide to build your own Wordpress site, odds are you’ll have a lot of frustration on the way, and waste a lot of time. The other option, if you decide to use Wordpress, is pay someone else to design the site, which usually does not come cheap. And, once the site is complete, you’re on your own to maintain it, which can be a challenge when updates cause issues. Squarespace will take care of all of that for you. Whether you decide to take the time to design it yourself, or pay someone else, the maintenance after the fact is a breeze. Everything is integrated into one package, which is why you pay (in my opinion, a minimal) monthly fee for the service - security, updates, customer services, etc. Now that you have a place to blog, what the heck do you blog about? How do you blog about baking? That’s the secret: you’re not going to exclusively blog about baking. Sure, you can do a blog about holiday treats, and your special flavors for the season. But you have the opportunity to cover so many more topics related to baking! Your customers are coming in to see you for a reason - they’re picking up a cake for a birthday party, celebrating Teacher Appreciation Week with special cookie gifts for teachers, or just buying a freshly baked loaf of bread for a family dinner. Whatever your specialty, you know why your customers are coming to see you - write about that. The key to blogging is to write about things that will interest your ideal customer so that they will find you online. So, if you do nothing but write about what your specific bakery does in your town, you’ll get lost in the shuffle. 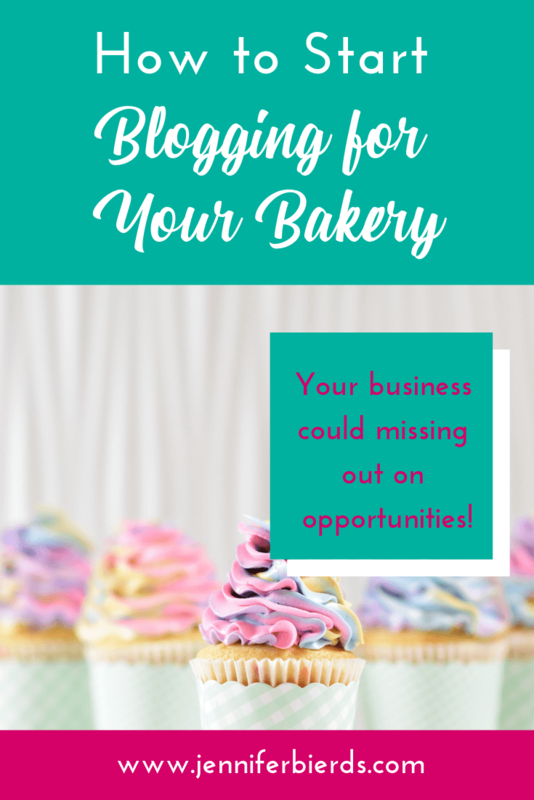 But, if you incorporate ideas into your blog that aren’t necessarily what your bakery does, but complement your work, people will find you as a resource. Our family currently lives in El Paso, Texas, so I’ll use a local bakery (with a different name) as an example of what I would do for marketing with my blog. Let’s say my bakery is called Addictive Sweets, and I specialize in creating delicious cupcakes (seriously, the best in town!). My customers range from walk-ins who want just one or two treats, to custom orders by the dozen for birthdays and special occasions. Appreciation weeks posts - i.e. teachers, armed forces, nurses, etc. Are you starting to get the idea? I could go on and on and on listing ideas for blog posts here. Now, make a list for your bakery of potential blog posts focused on your area of expertise. From that list, plan out your blog posts into the future, as far as you want, but at least a month in advance. Choose a day of the week that you’ll post so that you’re consistent, and put the date and blog topic into your calendar. This will give you a certain level of accountability, and because you already know your topic, you’ll feel more prepared. You can read about my entire blogging process here, to get an idea of how I do it. Here’s the hard part - try to write in advance. I’m a total hypocrite at this moment, but that’s the goal. Once you can get a few blog posts written prior to their due date, you can have peace of mind that even if something comes up, you will be able to stick to your schedule. Publishing blog posts on a regular basis will result in increased traffic to your website, so it’s worth it. For a complete tutorial on blogging with Squarespace, visit this post. And if you have any questions, feel free to contact me! 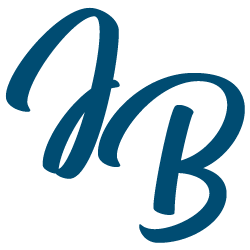 I’d love to help your bakery succeed with a new website. Don’t be shy! Send me a message, and I’ll get back to you ASAP. Don’t miss these other popular posts!